FINRA has wrapped up its ruling, but arguments over who owns client information when advisors switch firms continue. FINRA arbitrators have rejected a $15 million claim by Charles Schwab (SCHW) against Morgan Stanley (MS). The dispute centered on Schwab’s accusations that Morgan Stanley had “poached” a group of financial consultants and other employees in California and in doing so had obtained confidential information. The three-member FINRA panel, though, disagreed and asked Morgan Stanley to pay about $71,600 in sanctions in a decision it signed last Friday. Experts point out that Schwab, which has a large retail branch network and is the largest custodian for RIAs, is not part of the broker protocol in which broker-dealers agree to certain terms when advisors switch firms. Namely, advisors are prohibited from talking to clients about their move until after it is wrapped up; they are, however, able to take client contact information with them. Industry expert Danny Sarch of Leitner Sarch Consultants in White Plains, New York, says that brokerage firms that aren’t part of the protocol can really “take offense” when advisors leave. 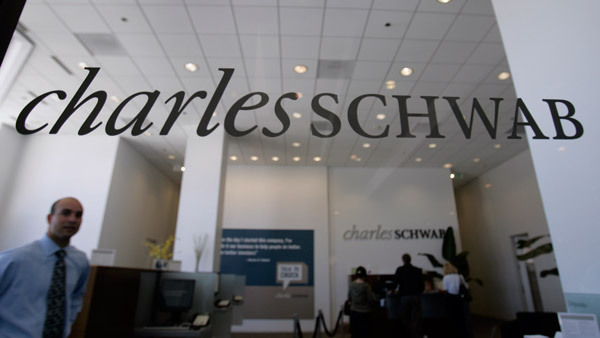 These firms may see client assets coming to advisors as business that “belongs to the firm.” That’s because clients are usually in the Schwab business model thanks to Schwab’s retail presence rather than the advisor at the branch, he explains. The concept of ownership, that the client is in charge of where their money goes, is a bit of a joke, he adds. “But regardless of whether or not a firm is in the protocol, if [its recruited advisors] are seen as taking client information to the new firm, the firm is going to have a problem,” Sarch explained, in an interview. Schwab says that it “strongly disagrees with the panel’s decision.” The firm is “evaluating our legal options,” a spokesperson explained in a statement. “The claims in this case were compelling, including instances of taking proprietary information, manufacturing evidence, and operating a steady raid on staff and clients resulting in significant damage to Schwab,” the company added. Schwab first raised its complaints against Morgan Stanley in 2012. It claims that the wirehouse firm conducted “intentional and with malice orchestration of an actionable raid on Schwab’s West Portal Avenue office” in San Francisco, as well as “tortious interference with and inducement of the breach of numerous contracts between Schwab and its employees, including without limitation the employees’ obligations not to use or disclose confidential and trade secret information, not to solicit Schwab’s employees, and to provide notice of their resignation.” Morgan Stanley declined to comment on the matter. Overall, the position of New York-based Morgan Stanley, as a member of the protocol, is that “if the hiring firm follows the rules, even if the other party doesn’t, it can say it’s done nothing illegal,” according to Sarch. Wirehouse firms like Morgan Stanley typically see advisors leave to go independent rather than the opposite. For instance, four Morgan Stanley reps moved to an independent RIA in Portland, Oregon, last month, with some $650 million in client assets under management. One former-Morgan Stanley advisor that left the wirehouse to go independent, affiliate with Schwab and run his own practice in Naples, Florida, knows how difficult that decision can be. In what’s become a five-year legal battle, James Eastman is being sued for attorney’s fees after FINRA arbitrators said New York-based Morgan Stanley had no legal right to sue him for repayment of retention bonuses. He also brought two whistleblower claims against the firm through the SEC and has filed for bankruptcy.